This review is for the Petroleum Health Insurance Company. However, extensive searches for the company show that the Petroleum Health Insurance Company no longer exists. In fact, the Petroleum Casualty Group, as it was known, does not, and never did, offer any type of health insurance. As part of the Ancon Insurance Company, the Petroleum Casualty Group was a subsidiary of the risk management division for both the Exxon and Mobil companies. Are you looking for health insurance? Find coverage near you by simply entering your zip code in our search tool below. While Ancon Insurance was based out of Vermont, the Petroleum Casualty Group was originally headquartered in Houston, Texas. In 2006, the Exxon Mobil foreign company named ESSO holdings purchased the rights to Ancon, which included the Petroleum Casualty Group, and planned to rename the insurance company to Arran Insurance. However, just three years later, Arran Insurance was purchased by a Randall & Quilter (R&Q) Holdings Company named Chevanstall Limited. Therefore, this review will focus on R & Q. 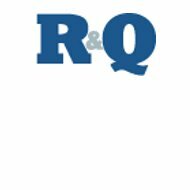 Formed in 1991, R & Q Holdings has dozens of companies under its overall umbrella, and currently employs approximately 350 people. The worldwide headquarters is based in London, and the company has more than $3.4 billion in claims reserve. In addition, R & Q does not offer any type of individual or business health insurance product, so individuals looking for health insurance must contact another company or agent. As there is limited information available on the Petroleum Casualty Insurance Company, including on the R & Q website, it is difficult to determine whether the business still maintains a corporate headquarters location. The last listed toll free telephone number for the Petroleum Casualty Insurance Company is 1-800-323-4416. It also appears that any insurance products are only sold and serviced by independent agents. However, there is no information available as to where the agents are located. As far as corporate office for the R & Q Holdings Company, there are main offices in New York, Philadelphia, and Boston. In addition, there are offices in the United Kingdom, Canada, Bermuda, as well as Europe. However, despite the multiple locations, there is no health or medical insurance product offered by the Petroleum Casualty Insurance Company or the parent company R & Q Holdings Company. It is not clear as to what insurance products are offered by R & Q Holdings. According to various sources, the function of R & Q is to support insurance companies by providing various services such as claims, overall management, and certain services for brokers. Currently more than 25 different companies utilize the R & Q Holdings services. These companies are located throughout the world, although it is not clear as to how many of them offer any type of health insurance product. The R & Q Holdings Company provides detailed claims work for their clients as well. This work includes all the necessary functions and regular responsibilities an internal claims department. This includes settling all claims, adjusting as necessary, and making sure the funds are available for any claim. As far as brokerage services, R & Q Holdings only offers them for the companies based in the U.K.
As a reminder, individuals looking for health insurance for themselves or for family members must contact another insurance company, as R & Q does not offer any health insurance coverage nor do any of its affiliates. There is a dedicated careers link on the R & Q Holdings website that allows interested individuals the ability to see what positions are currently open at the company. On the page, there is a listing of current vacancies; however, at the time of this review, there was currently only one position open. The listings are updated regularly, and include any open position with R & Q Holdings all over the world, not just at the worldwide or United States Headquarters. Individuals that are interested in working for R & Q Holdings but do not see a position on the website that matches their interests and qualifications may simply send their resume and cover letter to the main human resources department at the office in London. Are you looking for health insurance for you and your family? Find rates online by entering your zip code below for health and medical insurance rates in your area!